The image of the Dallas Cowboys certainly wouldn’t be the same without the dazzling smiles, crop tops and signature white boots of the cheerleaders who grace the sidelines at every game. The cheerleaders are a vital part of the Dallas Cowboys' brand, and their history is unmatched. 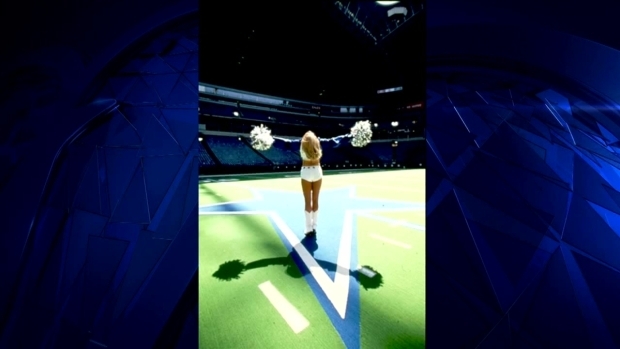 Kelli Finglass, who has directed the squad for 27 years, said the cheerleaders are “timeless.” She, herself, was a cheerleader in the 1980s for five years. “They embrace tradition, yet they also keep us young and relevant in our choreography and our music and performance,” Finglass said. One thing that has remained a tradition since the 1970s is the signature uniform. 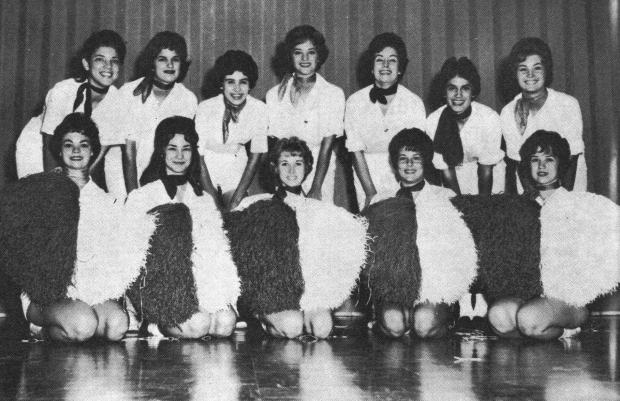 Paula Van Wagoner was never a cheerleader, but she was the first person to ever officially don the uniform. Van Wagoner was the original designer of the classic booty shorts, crop top and beloved white boots. 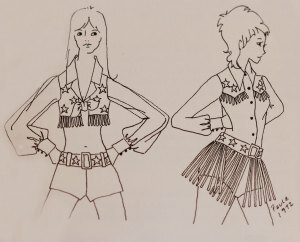 She was a fashion designer in 1972, and was asked to create a uniform to represent the Dallas Cowboys Cheerleaders. With her design in hand, she presented her creation to the head of the Dallas Cowboys, Tex Schramm, on a hanger. She said she thought the uniforms would last throughout a season, maybe. “I actually thought the uniforms might last through that first season, not for 44 years,” Van Wagoner said. A look a the Dallas Cowboys Cheerleaders uniforms through the years. Although the uniforms are practically unchanged, the importance of diversity on the team is something that has developed through the years. The squad is a diverse group representing 18 states and three countries. One of those women, Yuko Kawata, is from Osaka, Japan. The 23-year-old said she’s always dreamed of being a Dallas Cowboys Cheerleader and made the team despite language and culture barriers. Jinelle Davidson is a 29-year-old cheerleader from Australia. She’s been on the squad for four years and said she loves every minute of her time in Dallas. “I think it’s so special to have a team of 37 ladies and everyone comes from somewhere different and has a different story and has gone through their own different experience to make this team,” Davidson said. She said the feeling of cheering inside AT&T Stadium is an indescribable experience. But through all the years and all the changes, much has stayed the same. “There's energy, a sisterhood, a common denominator of overachieving women that become very close,” Finglass said.